John was right. In the next two days he and Tina received dozens of emails and text messages from the builders. One offered a free upgrade to granite kitchen countertops if Tina and John signed within a week. Another promised $5,000 off the home’s list price if the couple signed by the end of the month. “These robo-sales tactics make me feel like just an email address, not someone in search of a dream home,” Tina lamented. The envelope from Caring Builders contained a handwritten note from Maria, the salesperson. She thanked John and Tina for coming to see the models and acknowledged their interest in a larger lot with mature trees. Maria identified five large lots and three with several mature trees. She wrote that she’d be happy to show them to Tina and John whenever the couple had time to look. Maria also provided her cellphone number so John and Tina could call her for an appointment. Where would your material fall in John and Tina’s pile of brochures, floor plans, follow-up, and communications? Discounts, free upgrades, and digital messaging are good support, but they all lack a personal touch. Technology enables the use of efficient methods, such as email and text messages, to stay in touch with potential and current clients, but it isn’t a replacement for more intimate customer engagement. To stand out from the pack, harness the power of analog: specifically, a personal, handwritten note (once a standard practice of good business). In home building, there’s always the tension between efficiency and effectiveness. Preprogrammed email follow-up is efficient, but is it effective? Don’t get me wrong, a customer relationship management (CRM) system is very important. But as a company leader, I learned long ago that efficiency should be the benchmark for processes and systems, while effectiveness is best for people and relationships. How many email messages do you receive per day? By 2018, many estimates say, the average will hit almost 100 emails per day per person. Of these, just 30 percent, on average, are actually opened, and once opened, an email gets about 10 to 15 seconds of attention before the recipient moves on to the next message. So even if your email communication is noticed and opened, you have a fraction of a minute to gain the person’s attention—not much engagement or relationship opportunity there. 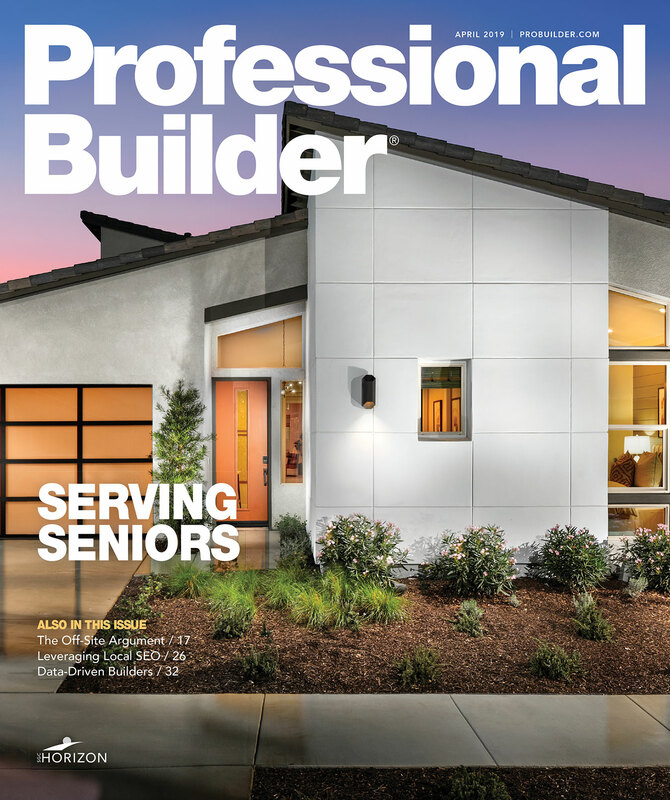 For most of us, “snail mail” these days consists of the few bills that aren’t on automatic payment, charitable requests, direct-mail promotional materials, your monthly issue of Professional Builder magazine, and an occasional formal invitation. How many personal notes do you receive? If you’re like most, the answer is fewer than one per month. But receiving a stamped, handwritten note is an occasion. Snail mail comes from caring and conscientious people. In the digital age, a personal touch has more impact than ever. By sending a handwritten note, you’re building a relationship before your potential customer even opens the envelope. Studies show that surface mail is still one of the most effective and appreciated means of communication. And, by the way, snail mail isn’t exactly glacial; local delivery averages one to three days. For the sake of engagement and impact, sometimes slower is faster. The handwritten note that John and Tina received from Maria addressed something that was important to the couple: a larger lot and mature trees. Maria was paying attention. It’s worth noting that handwriting a form thank-you letter doesn’t put your team in a stronger position. It’s being personal that matters. Setting a policy of handwritten follow-up requires hiring salespeople who really listen. Notes should be written on the same day as the visit, while those potential customers are still freshly in focus. The pen has power after homeowners move in, too. Our company offers paper surveys via the postal service (to our knowledge, we’re one of the few customer satisfaction research firms that still does so). There’s no question that a mailed survey is less efficient and there’s considerable cost involved in preparation, envelopes, postage, and return envelopes compared with the cost of conducting an email survey. Consequently, the practice has been dropped by many for the sake of efficiency and cost. Instead, we let the customer decide on the response medium (postal service, online link, or phone call). Guess what the preferred medium is? In all age groups, the U.S. Postal Service wins. The mail version sends the message that the builder really cares about customer feedback and is actually going to read the customer’s responses. This, in turn, elicits more customer comments. The mail version offers more privacy, too. To ensure that all your communication to prospective buyers packs maximum effectiveness, here are some steps to get started. • Have a planned engagement strategy. Be sure your team has a good understanding of how to effectively communicate with prospects and customers at every stage of the process. • Be strategic with all forms of communication. That includes digital. Sometimes an email or phone call is the right contact decision. Sending routine notices of construction progress or confirmation contacts via email is using the right medium. • Implement regular high-touch communication. Personal notes, cards, and letters, and face-to-face contact have emotional resonance. • Stay engaged throughout the customer life cycle from prospect to homeowner. • Share the love. What’s good for customers is good for everyone. A handwritten note of appreciation can make a huge difference for fellow staff members and trade partners, too. • Provide options for customer feedback surveys—phone, internet, or paper. Criteria for a personalized communication plan need to include effectiveness and engagement. The plan should match your company’s brand promise: If you say you’ll deliver a great homebuying experience, attention to customer care and personal touches must dovetail with that promise. The chance meeting is a reminder that builders can learn from those in a wide variety of industries. What’s more, Keith considers the encounter an important lesson: People may not remember what you say, but they will always remember how you made them feel.